The State Collaborative on Reforming Education (SCORE) has announced that 50 educators have been chosen for the 2017-18 class of the Tennessee Educator Fellowship. The Tennessee Educator Fellowship is a yearlong program that equips educators to advocate for their students and their profession as they continue teaching. Entering its fourth year, the fellowship now accepts not only teachers but also school counselors and librarians. Since 2014, the fellowship has helped nearly 100 teachers to contribute to the discussion about education policy by appearing at public speaking engagements, inviting policymakers into their classrooms, writing about their education experience in state and national publications, creating regional professional networks, and serving on state-level policy committees. The fellows chosen for 2017-18 have combined teaching experience of 583 years, ranging from three years in the classroom to almost 50. These Tennessee Educator Fellows represent elementary, middle, and high schools in 35 districts across East, Middle, and West Tennessee. The members of the cohort teach English language arts, math, science, social studies, visual arts, career and technical education, and special education, and serve as librarians and school counselors in urban, suburban, and rural schools. This is the fourth year of the Tennessee Educator Fellowship. Past fellows have led new education initiatives including a new summer reading program through Read to be Ready; Project LIT Community, an initiative to eliminate book deserts in Nashville; and professional development and leadership programs for other teachers. Fellows also have informed education conversations at local, state, and national levels through in-person meetings with various stakeholders and op-eds for news and education outlets like The Tennessean, Education Post, and Hechinger Report. Daniel Atkeson teaches grades 11-12 mathematics at the Academy at Old Cockrill in Metropolitan Nashville Public Schools. Atkeson has been teaching for seven years. Katie Austin teaches third-grade English language arts at East End Preparatory School in Metropolitan Nashville Public Schools. Austin has been teaching for five years. Amy Barbra teaches eighth-grade social studies at Madisonville Middle School in Monroe County Schools. Barbra has been teaching for nine years. Carrie Bishop teaches eighth-grade English language arts at Hixson Middle School in the Hamilton County Department of Education. Bishop has been teaching for 15 years. Brooke Britt teaches seventh-grade mathematics at Lexington Middle School in Lexington City Schools. Britt has been teaching for 10 years. Alice Browder is a school counselor at Roosevelt Elementary School in Kingsport City Schools. Browder has worked in education for six years. Victoria Burns teaches sixth-grade English language arts at H.Y. Livesay Middle School in Claiborne County Schools. Burns has been teaching for six years. Sarah Cooper teaches fifth-grade English language arts at Fairview-Marguerite Elementary School in Hamblen County Schools. Cooper has been teaching for six years. Amy Cox teaches third-grade English language arts at Halls Elementary School in Knox County Schools. Cox has been teaching for 18 years. Ashley Cox teaches ninth-grade English language arts at The Howard School in the Hamilton County Department of Education. Cox has been teaching for six years. Austin Crowder teaches grades 10-12 social studies at The Soulsville Charter School in Shelby County Schools. Crowder has been teaching for five years. Abby Cunningham teaches grades 9-12 career technical education at Stewart County High School in Stewart County Schools. Cunningham has been teaching for five years. Dr. Carolyn Davis is a high school counselor at Northview Academy in Sevier County Schools. Davis has worked in education for 17 years. Jenna Davis teaches fourth grade at Glenview Elementary in Metropolitan Nashville Public Schools. Davis has been teaching for 10 years. Laura Davis teaches grades 10-11 social studies at West High School in Knox County Schools. Davis has been teaching for four years. Lindsay Davis teaches grades 9-12 mathematics at Austin-East Magnet High School in Knox County Schools. Davis has been teaching for 12 years. Shannon Davis teaches second-grade English language arts at Thelma Barker Elementary in the Jackson-Madison County School System. Davis has been teaching for 11 years. Dr. Eric Ellerbrook teaches eighth-grade science at Dyersburg Middle School in Dyersburg City Schools. Ellerbrook has been teaching for 15 years. John Ezell teaches sixth-grade social studies at West View Middle School in Hamblen County Schools. Ezell has been teaching for five years. Natalia Fallon teaches ninth-grade English language arts at Harpeth High School in Cheatham County Schools. Fallon has been teaching for 12 years. Dr. Penny Ferguson teaches 11th-grade English language arts at Maryville High School in Maryville City Schools. Ferguson has been teaching for 48 years. Breanna Fulton teaches fourth-grade English language arts at Georgian Hills Achievement Elementary School in the Achievement School District. Fulton has been teaching for three years. Amanda Galbraith teaches grades K-5 visual arts at Ellendale Elementary School in Bartlett City Schools. Galbraith has been teaching for 15 years. Mary Gilbert is an elementary school counselor at College Street Elementary School in Manchester City Schools. Gilbert has worked in education for 35 years. Laurie Glover teaches fifth-grade English language arts at Gordonsville Elementary in Smith County Schools. Glover has been teaching for 23 years. Lauren Harper-Lott teaches grades 9-12 science at West Greene High School in Greene County Schools. Harper-Lott has been teaching for 27 years. Grover Harwell teaches seventh-grade mathematics at Haywood Middle School in Haywood County Schools. Harwell has been teaching for 10 years. Heather Hayes teaches second-grade English language arts at Park View Elementary in Bradley County Schools. Hayes has been teaching for 10 years. Kimberly Herring teaches grades 10-12 mathematics at Cumberland County High School in Cumberland County Schools. Herring has been teaching for 27 years. Dr. Tunisha Hobson teaches grades 10-12 career technical education at Franklin High School in Williamson County Schools. Hobson has been teaching for 11 years. Lindy Holland teaches fifth-grade English language arts at Liberty Elementary School in Bedford County Schools. Holland has been teaching for 11 years. Golden Howard teaches seventh-grade mathematics at Ripley Middle School in Lauderdale County Schools. Howard has been teaching for seven years. Jessica Hubbuch teaches grades 10-12 science at The Howard School in the Hamilton County Department of Education. Hubbuch has been teaching for four years. Colin Hunt teaches eighth-grade English language arts at Croft Middle Design Center in Metropolitan Nashville Public Schools. Hunt has been teaching for three years. Sandy Irwin teaches sixth-grade mathematics at Bellevue Middle Prep in Metropolitan Nashville Public Schools. Irwin has been teaching for 29 years. Sarah Johnson teaches grades 10-12 science at Roane County High School in Roane County Schools. Johnson has been teaching for five years. Meah King teaches 11th-grade English language arts at East High School in Shelby County Schools. King has been teaching for 15 years. Tom Loud teaches first grade at Middlesettlements School in Blount County Schools. Loud has been teaching for 10 years. Katie McGhee teaches first grade at Rock Springs Elementary School in Sullivan County Schools. McGhee has been teaching for nine years. Christy McManus teaches fifth-grade English language arts at Chester County Middle School in Chester County Schools. McManus has been teaching for 12 years. Natasha Minor teaches third-grade mathematics at Barkers Mill Elementary School in Clarksville-Montgomery County School System. Minor has been teaching for six years. Soya Moore teaches eighth-grade mathematics at Raleigh Egypt Middle High in Shelby County Schools. Moore has been teaching for seven years. Andrea Morris teaches seventh-grade social studies at Tuckers Crossroads Elementary in Wilson County Schools. Morris has been teaching for seven years. Jessica Peccolo-Donnell is a K-8 librarian at Community Montessori School in the Jackson-Madison County School System. Peccolo-Donnell has worked in education for 14 years. Amanda Pickett teaches eighth-grade special education at Holston Middle School in Knox County Schools. Pickett has been teaching for four years. Erika Scissom teaches grades 6-8 English language arts at Swiss Memorial Elementary School in Grundy County Schools. Scissom has been teaching for 11 years. Robert Sparks teaches eighth-grade English language arts at Decatur County Middle School in Decatur County Schools. Sparks has been teaching for nine years. Yarielis Torres teaches fifth-grade English language arts at KIPP Memphis Academy Middle in Shelby County Schools. Torres has been teaching for seven years. Stacey Travis teaches grades 10-12 mathematics at Maryville High School in Maryville City Schools. Travis has been teaching for 11 years. Kevin Winters teaches sixth-grade science at Athens City Middle School in Athens City Schools. Winters has been teaching for nine years. The new fellows will meet as a group for the first time in July. 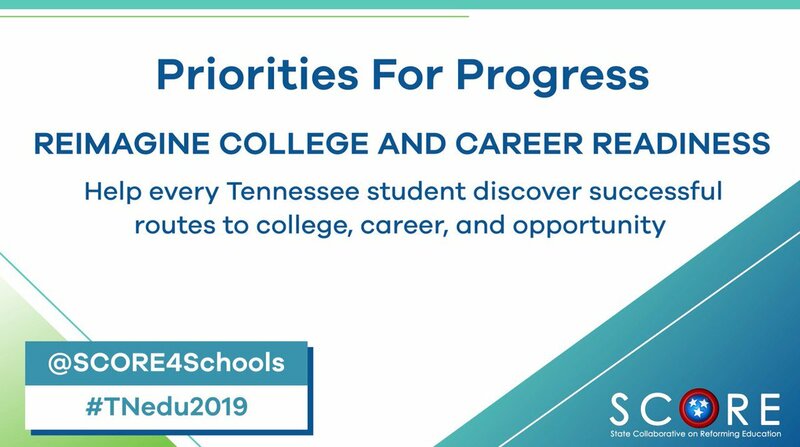 Throughout the upcoming year, the educator fellows will learn through in-person and online seminars and will serve as liaisons between their colleagues, their communities, and policymakers as Tennessee continues the work of improving educational outcomes for all students.